Our skilled technicans can fix your heat immediately! We may also be able to save you money on your monthly heating bills. Ask us about our incentives! End all your worries about home heating systems today. 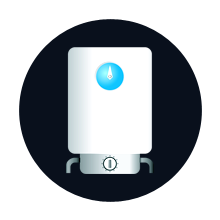 Our trained technicians repair and install hot water and steam boilers. We also convert oil fired boilers to clean, cost-efficient gas fired boilers. 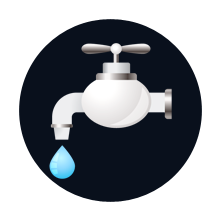 Say goodbye to leaking pipes, dripping faucets, and clogged sinks. Let the residential plumbing professionals at Komfort Plumbing and Heating fix them all. We also do new plumbing installations for private homes and rental properties. Heating system installation, repair, and conversion service rates vary depending on the amount of work that needs to be done. We offer free, no obligation estimates. We help make paying easier, we accept all major credit cards, and we offer 0% financing for 12 months or a low APR% for longer periods. Call Today! Komfort Plumbing and Heating, is a fully licensed and insured general plumbing and heating systems specialist. We offer reliable services for homeowners at competitive rates. Our company takes pride in having a high level of professionalism which shows in the quality of our work. Every project we handle is done with a strong focus on cleanliness and customer satisfaction. Our plumbing and heating system technicians are polite, courteous, and punctual. Komfort Plumbing and Heating has been in business for more than 30 years. New York City Master Plumber License #1670.